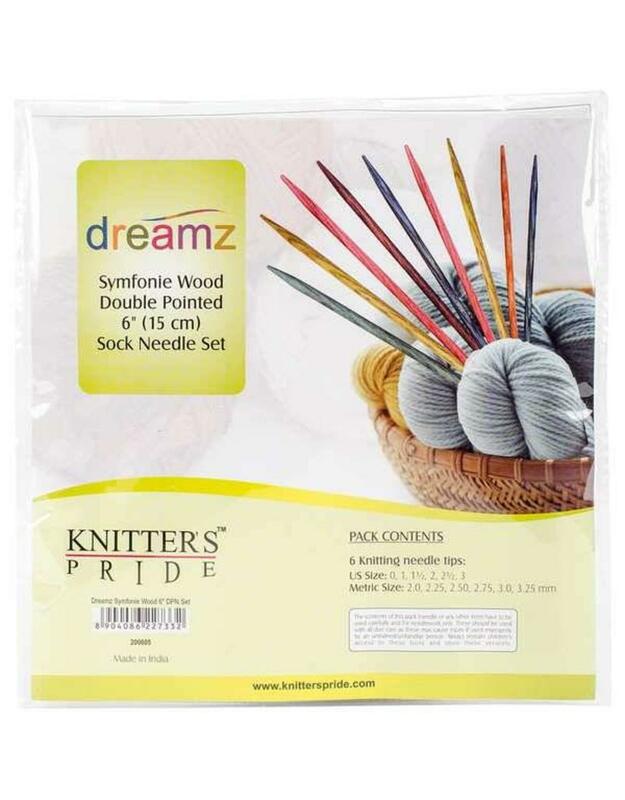 KP Dreamz Double Point 6" (15cm) - Set of 6 - Crochet Stores Inc. 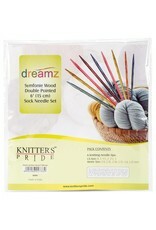 The ideal set for completing all your sock projects! This package contains six symfonie wood needles in sizes 0/2mm, 1/2.25mm, 1.43222.5mm, 2/2.75mm, 2.5/3mm and 3/3.25mm within one 6-1/2x7- 1/4 inch clear vinyl case.